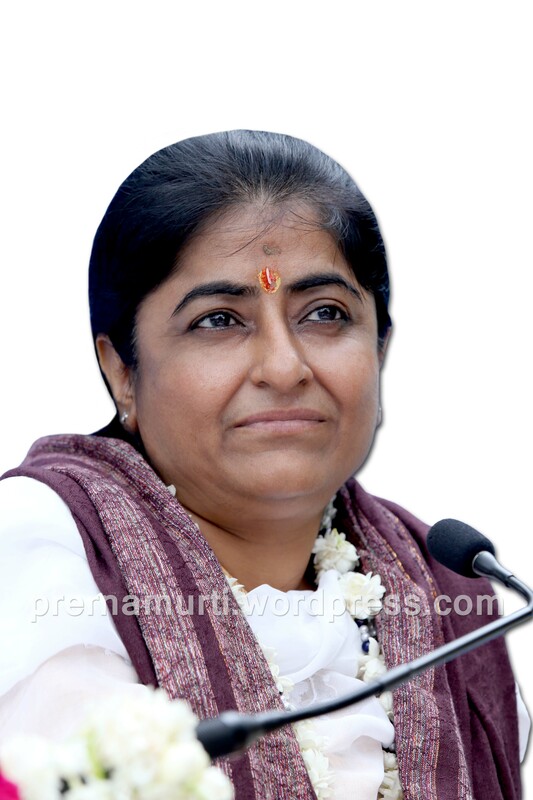 Prernamurti Bharti Shriji here explains the importance of bhakti in life through the context of Surdasji and Afzal fakir. Prernamurti Bharti Shriji says:: Surdasji asked in written “ kahe khud ke shish par dhool firey Gajraj ?” i.e Why does an elephant puts mud on its forehead ? If enquired to an person, the answer may be imaginary because no one has asked elephant doing so neither elephant revealed to someone.If asked to you may the answer be ‘for clearing insects on forehead ,elephant must be playing or someother imaginary answers. i.e Ahilya due to curse, had turned into a stone when Shri Ramchandraji touched glorious feet to stone, it got free from curse and turned into a stone Hence the elephant must be also having the same emotions that it is Charan raj of Shri Ramchandraji, hence puts it on forehead so that it can also be freed an be Human. What a sense of humour ?? Everyone should posess such emotions, to get rid of these materialistic World, bcoz its too an imaginary like your answers ! Why not to imagine like Surdasji ? Why not to imagine like Afzal fakir ?? such imagination must be imposed on many of unwanted thoughts and imagination.